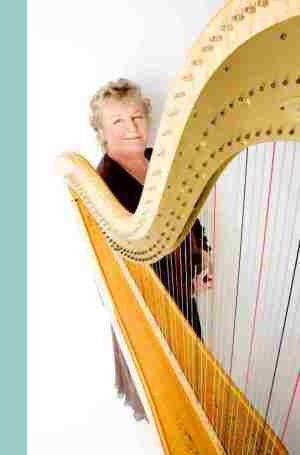 Northamptonshire harpist Elizabeth York has been playing harps at weddings and other events since 1993, now mostly using her elegant antique gilded pedal harp, and alternatively sometimes her beautiful celtic harp. After combining harp performance with work as a music therapist for a number of years, with a post-graduate diploma in Music Therapy from Bristol University, Elizabeth is now specialising in performance. Her background in playing traditional music as well as classical, and her experience as a music therapist mean that Elizabeth is equally happy playing from music or by ear. It is often possible for her to add one or two new pieces to her repertoire for an occasion, either from music or by ear from a recording. She also improvises when appropriate - often getting positive feedback from clients and their guests when she does this, and enabling her to tailor the music to suit the timing of the occasion. Elizabeth sings at ceremonies when requested, self-accompanied on the harp, or unaccompanied. She also sings with a well respected chamber choir in the South Midlands. As well as solo work, Elizabeth plays with her husband Richard York, playing accessible early music in a period costumed duo. They play for weddings, dinners and other special events, and also perform at many heritage sites, including for the National Trust, English Heritage and the V&A Museum.